Tomorrow's Artificial Intelligence will entail more humanistic conversations and communications. It will integrate into Google Home and Mini, Alexa, Cortana and most voice recognition devices. 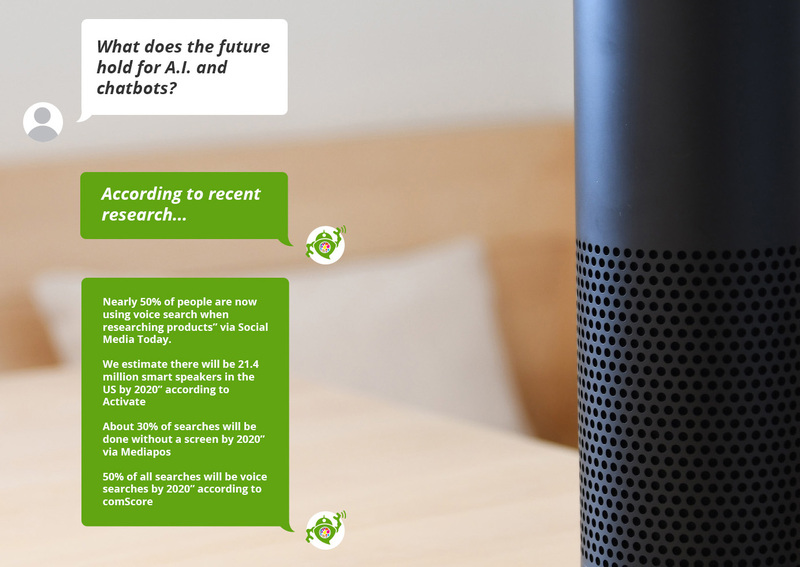 5 Benefits of Chatbots and A.I. Labor costs are notoriously tough on fitness studios and small neighborhood gyms or distributors; staffing costs a bundle. Imagine an AI automated robot answering all your prospects questions and providing real-time data and a link for membership - in one click. In order to gain an edge, websites that offer liver chat bots simply rise to the top. Most of your competition hasn't really registered the future impact of instant automation. In fact, Chatbots provide the simplest ways to connect with customers who spend most of their time and money shopping online. Slash your response time to problems or online question to enhance the social media experience. It is only natural for disgruntled customers or very motivated clients to share their issues - or joys or feedback - on social media platforms. As a result, Chatbots help you more rapidly respond to dissatisfied customers to neutralize messaging. An online chat system provides customers immediate access to help. Wait times on a Chatbox tend to be less than a call center, and customers may multi-task while waiting. And you finally do not have dial a 1-800 number and navigate through a maze of numeric options is non-existent. 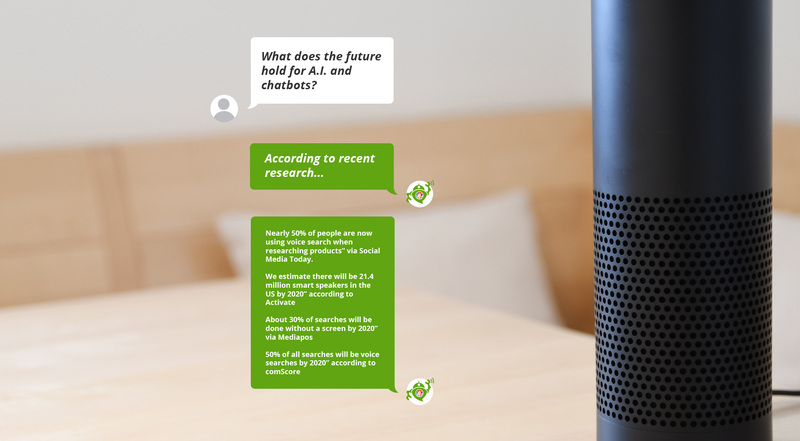 Modern Chatbots allow brands to send out auto replies to customer service in the blink of an eye! If not rolled out correctly, the user experience could be much worse even with chatbots. It depends on what your audience is looking for. Chatbots are not a solution for poor customer service. And as you continue to target specific audience demographics, you need to build the confidence of your audience as they engage. Efficient Chatbots can help drive or shape the user journey towards an intended outcome - but with great power comes great Chatbot responsibility. You profoundly need to htink through and identify what communications and outcomes your specific audience is looking for. Contact soOlis to help orchestrate your A.I. for health and marketing solutions.